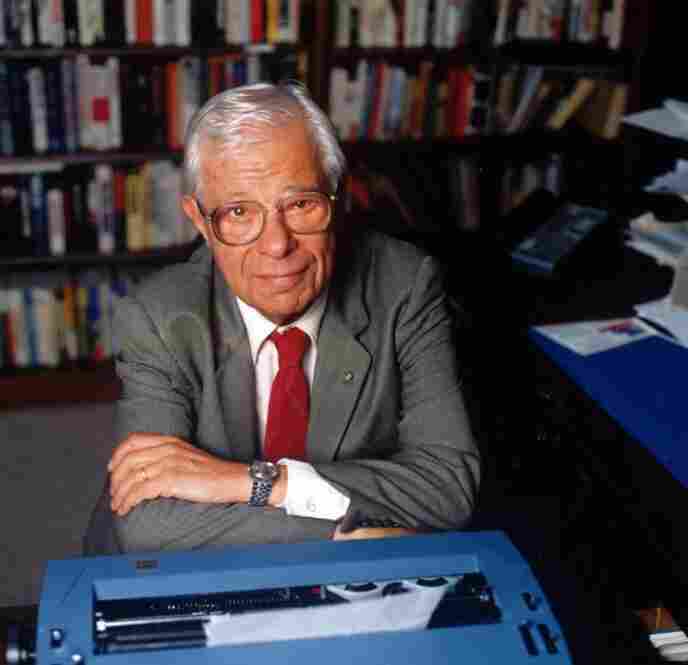 Journalism Legend Daniel Schorr Dies At 93 Schorr, a longtime NPR contributor, broke stories during the Cold War and Watergate that won him numerous awards — as well as the enmity of presidents. He was 93. 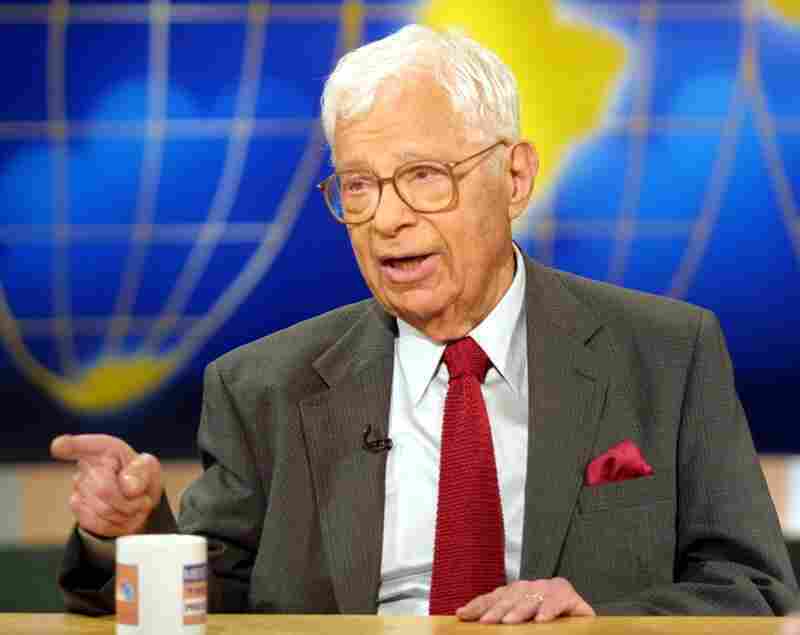 During a career of more than six decades, Daniel Schorr earned many awards for journalistic excellence, including three Emmys. 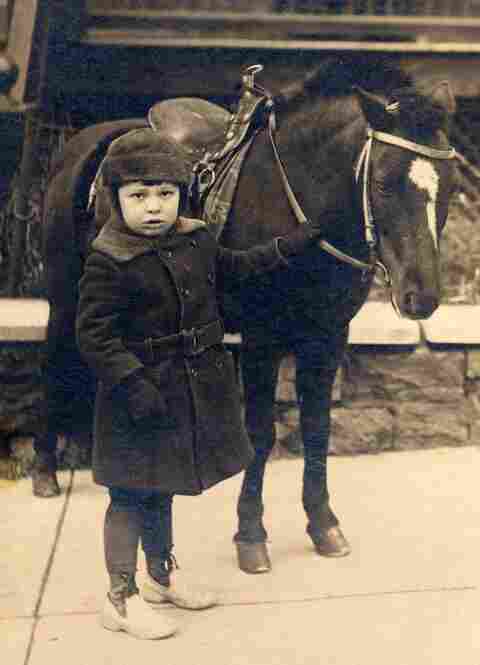 A child of Belarussian immigrants, Schorr was born in the Bronx in 1916. He got his first scoop at age 12, when he saw the body of a woman who had jumped or fallen from the roof of his apartment building. He called the police and the Bronx Home News. The paper paid him $5 for the information. In his autobiography Staying Tuned: A Life In Journalism, Schorr writes that in high school, he was president of the Hebrew Society, managing editor of the senior yearbook, and a member of the History Honor Society and the school paper. 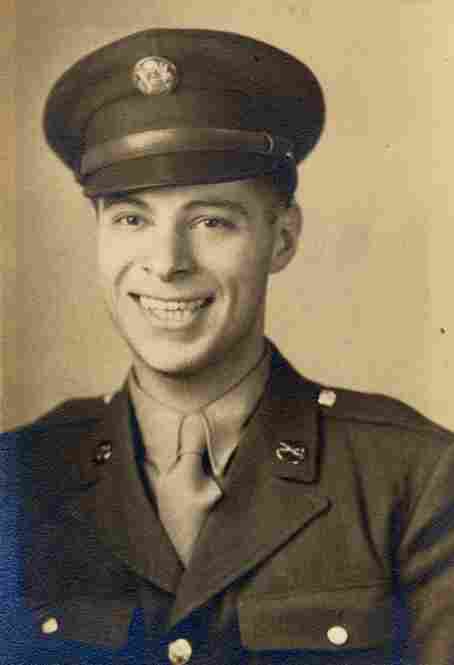 Schorr served in U.S. Army intelligence during World War II. Schorr joined CBS News in 1953 as its diplomatic correspondent in Washington, D.C., and also traveled on assignment to Latin America, Europe and Asia. Schorr used a typewriter to file his scripts, but sent his first script via e-mail in December 2009. Schorr was one of "Murrow's boys," the celebrated news team put together by Edward R. Murrow at CBS in the 1940s. 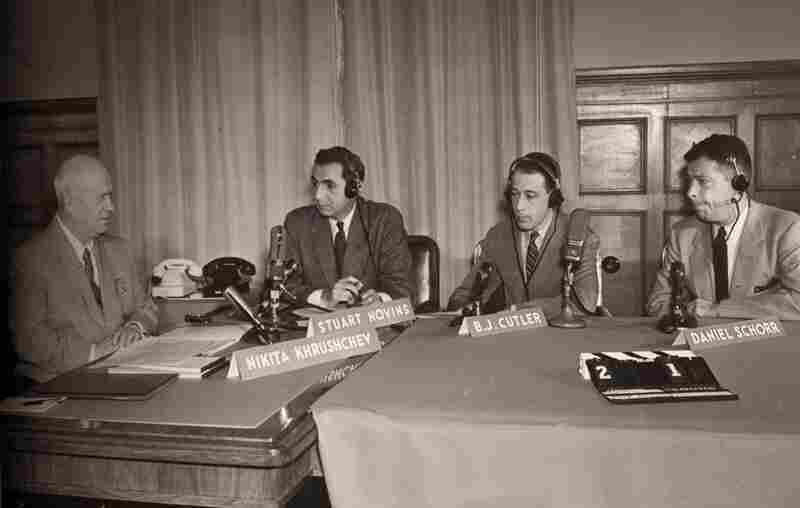 In 1955, Schorr opened a CBS bureau in Moscow. "CBS seemed not at all displeased when I was periodically cut off the air ... for defying censorship, and finally excluded from Russia altogether." Schorr's 2 1/2-year stay in Moscow culminated in the first-ever exclusive television interview with a Soviet leader, Nikita Khrushchev — filmed in his Kremlin office in 1957 for CBS' Face the Nation. From left are Khrushchev, the show's host Stuart Novins, journalist B.J. Cutler and Schorr. From 1957 to 1959, Schorr reported from Washington and the United Nations. He covered Khrushchev's tumultuous tour of the U.S. and the rise of Fidel Castro in Havana, and traveled with President Eisenhower to South America, Asia and Europe. 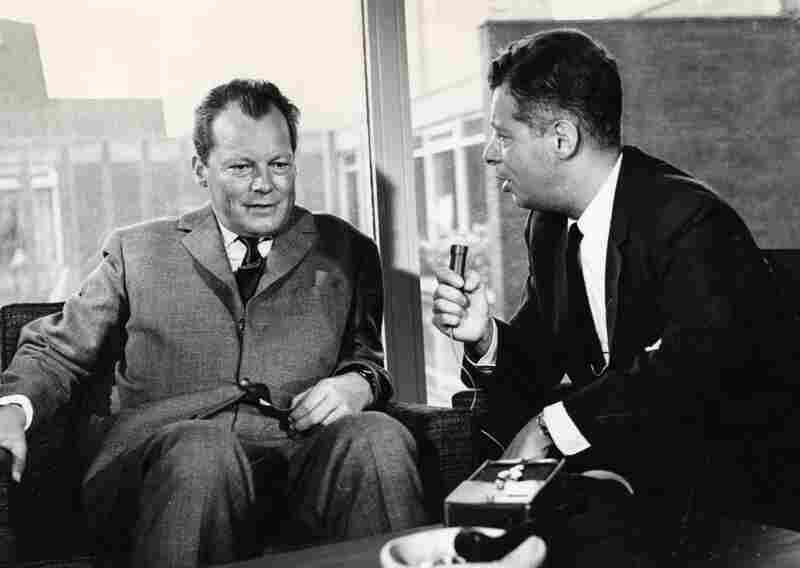 Daniel Schorr interviews the mayor of West Berlin, Willy Brandt, in 1962. 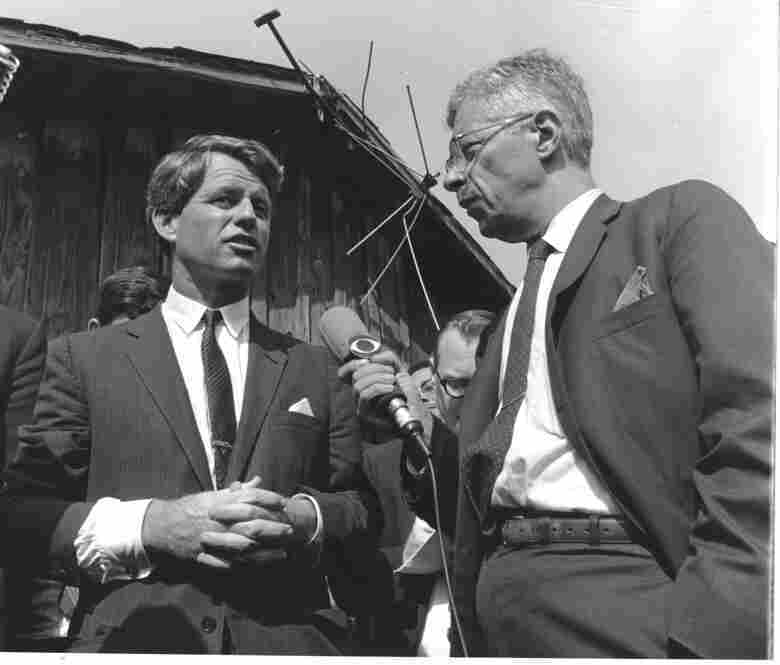 Schorr covers a visit by Sen. Robert Kennedy to the poverty-stricken Mississippi Delta in 1967. 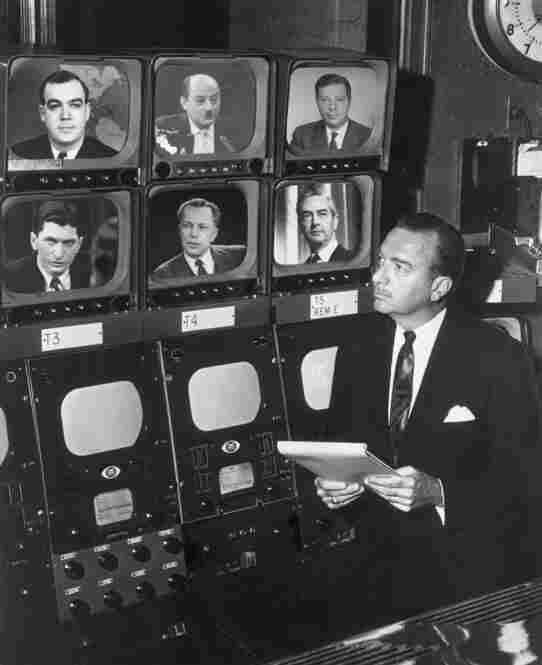 Broadcast journalist Walter Cronkite stands before a group of television monitors showing the CBS News Correspondents for the show Eyewitness. Schorr is seen at the top right. Also pictured: Charles Kuralt, David Schoenbrun, Marvin Kalb, Winston Brudett and Howard K. Smith. Schorr works at a press table during the Watergate hearings on June 1, 1973, while on assignment for CBS News. Schorr appears before the Senate Judiciary subcommittee on constitutional rights to testify as the subject of an FBI investigation, on Feb. 1, 1972. The Nixon White House said it ordered the investigation because Schorr was being considered for a federal job — one which Schorr said he knew nothing about. 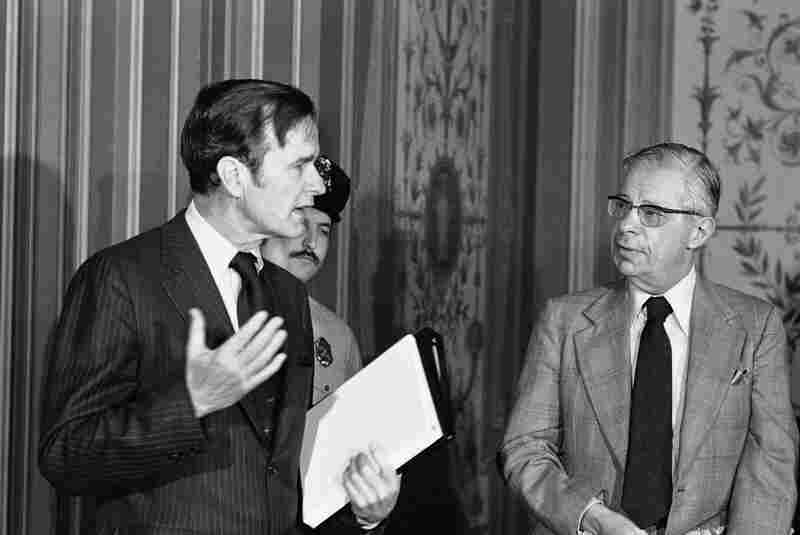 CIA Director George Bush (left) exchanges words with Schorr on Feb. 18, 1976, prior to giving a closed-door briefing to members of the Senate Foreign Relations Committee. Schorr appears before the House ethics committee in Washington, on Sept. 15, 1976. Schorr refused to tell the panel the name of the source who leaked a copy of a secret House Intelligence Committee report. Behind him is his wife, Lisbeth. 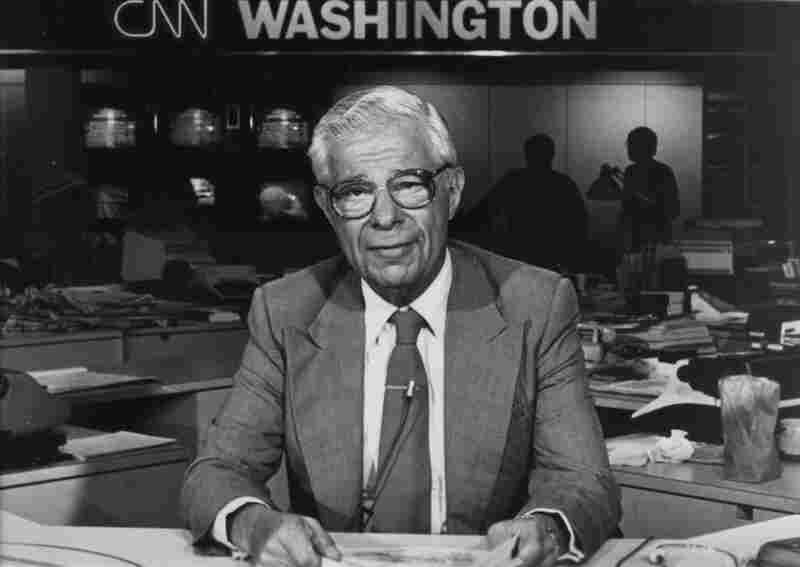 In 1979, Schorr was among the first hired by Ted Turner and Reese Schoenfeld to deliver commentary and news analysis on the fledgling Cable News Network (CNN). 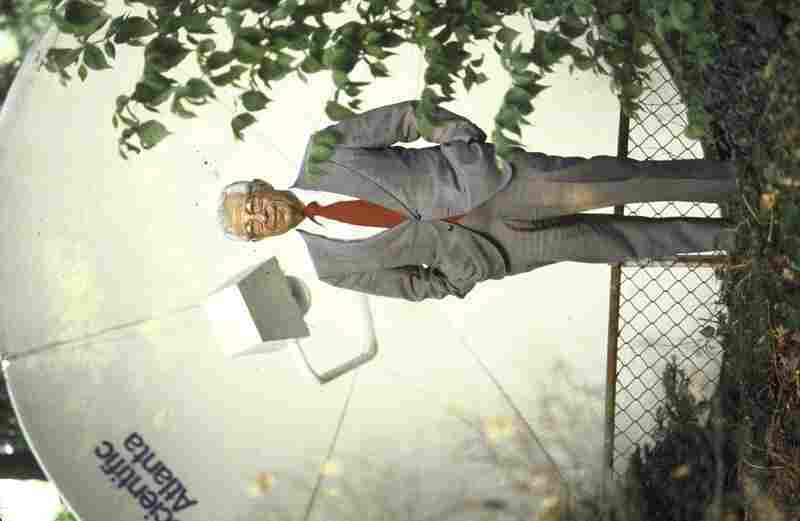 Schorr is pictured in 1982 with a 10-foot satellite dish in front of his home in Washington, D.C.'s Cleveland Park neighborhood. In 1979, Ted Turner gave him the dish — the first residential one to be installed in the city — after hiring Schorr, then 62, as the marquee correspondent for CNN. Schorr talks about his book Staying Tuned: A Life in Journalism, May 6, 2001, on Meet the Press at the NBC studios in Washington, D.C.
Schorr covers the 2006 U.S. House elections from NPR's Studio 4A on Nov. 7, 2006. Schorr worked primarily as a senior news analyst for NPR after leaving CNN in 1985. 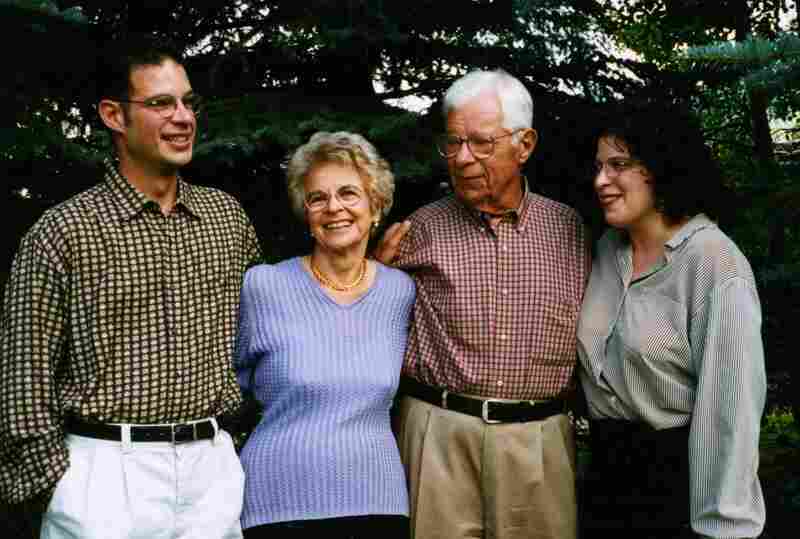 Schorr is seen with his son, Jonathan, wife, Lisbeth, and daughter, Lisa, in this family photo. Working for NPR, Schorr contributed regularly to All Things Considered, Weekend Edition Saturday, Weekend Edition Sunday, and NPR live coverage of breaking news. 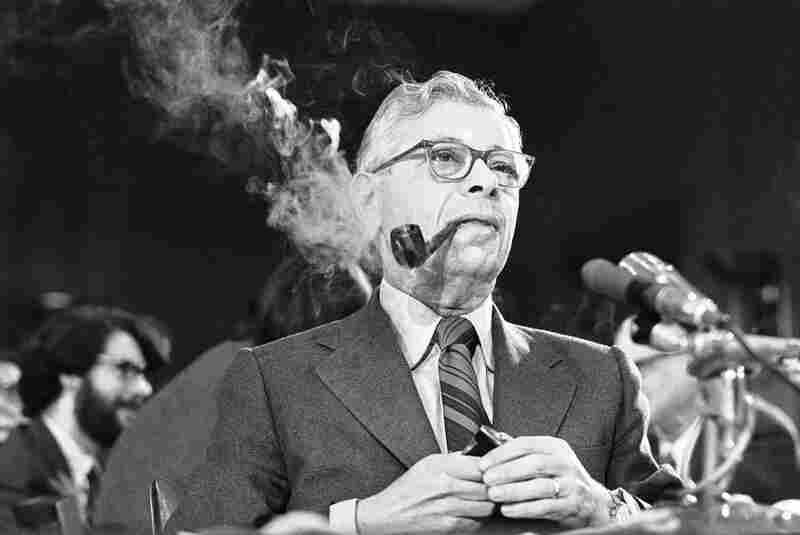 As a journalist, Schorr was able to bring to contemporary news commentary a deep sense of how governmental institutions and players operate, as well as the perspective gained from decades of watching history upfront. "He could compare presidents from Eisenhower on through, and that gave him historical context for things," said Donald A. Ritchie, Senate historian and author of a book about the Washington press corps. "He had lived it, he had worked it and he had absorbed it. That added a layer to his broadcasting that was hard for somebody his junior to match." 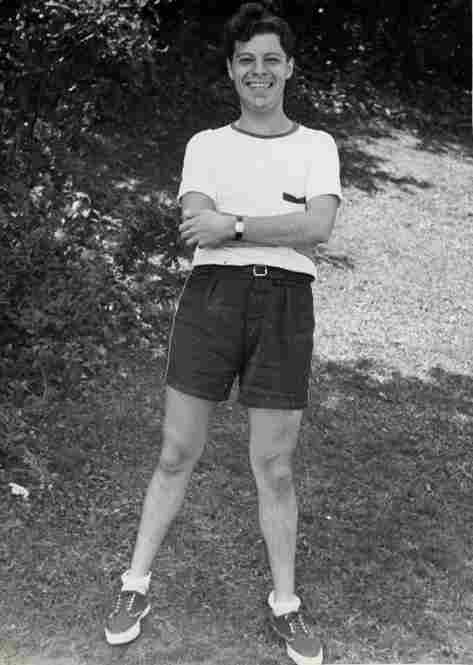 Schorr's 20-year career as a foreign correspondent began in 1946. 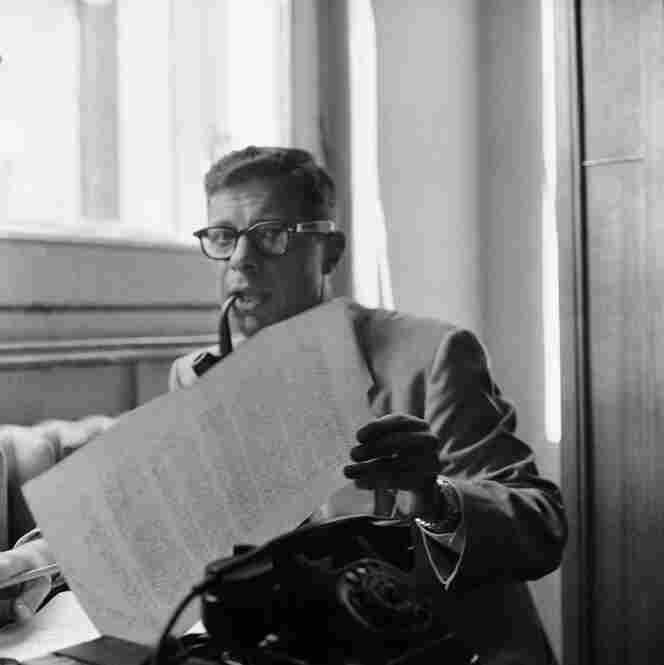 After serving in U.S. Army intelligence during World War II, he began writing from Western Europe for the Christian Science Monitor and later The New York Times, witnessing postwar reconstruction, the Marshall Plan and the creation of the NATO alliance. 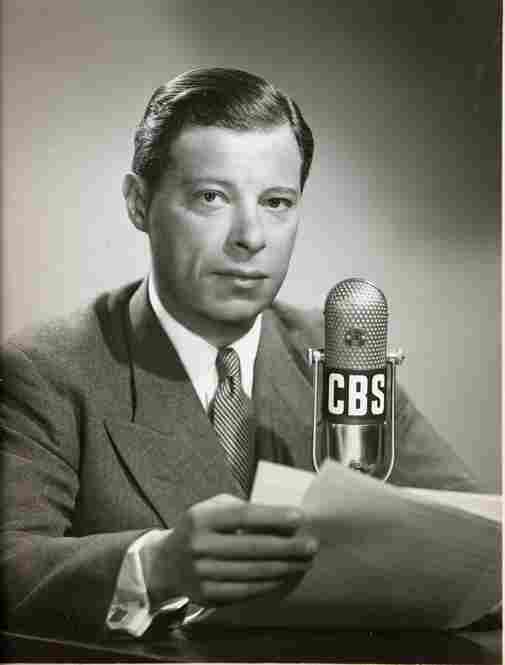 Schorr joined CBS News in 1953 as one of "Murrow's boys," the celebrated news team put together by Edward R. Murrow. 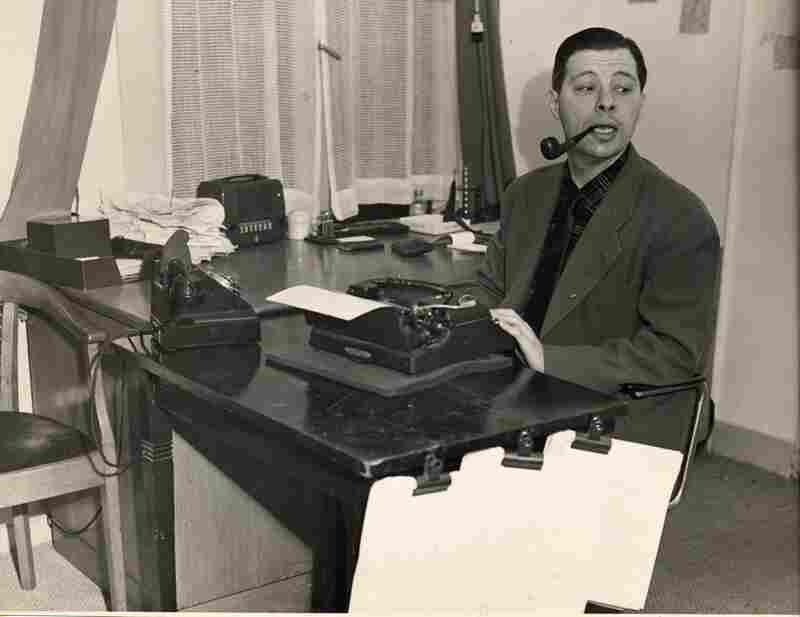 He reopened the network's Moscow bureau, which had been shuttered by Joseph Stalin in 1947. 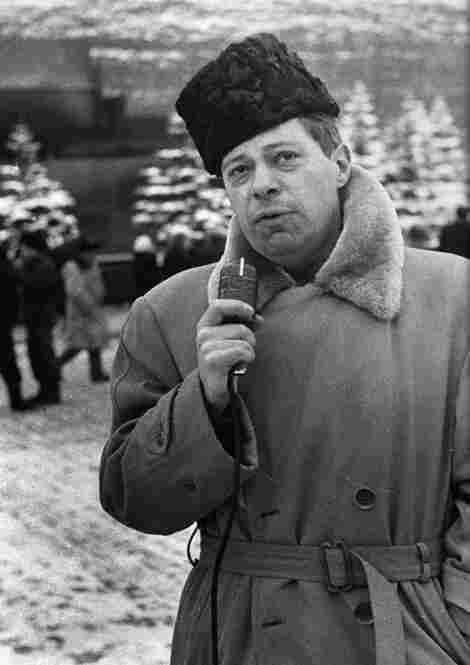 Ten years later, Schorr scored an exclusive broadcast interview with Nikita Khrushchev, the U.S.S.R. Communist Party chief -- the first-ever with a Soviet leader. Schorr was barred from the U.S.S.R. later that year after repeatedly defying Soviet censors. He covered the building of the Berlin Wall as CBS bureau chief for Germany and Western Europe. In 1962, he aired a celebrated portrait of citizens living under Communist rule in East Germany. He was reassigned to Washington in 1966. 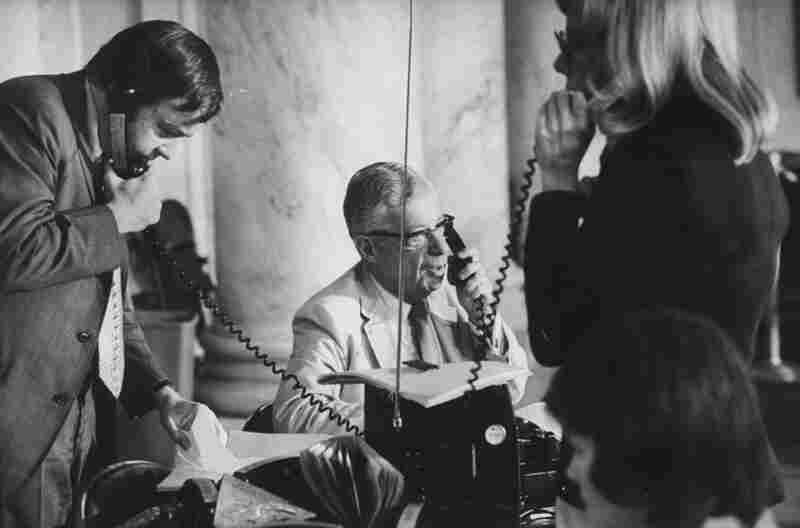 Other reporters in the bureau were already covering major institutions such as Congress or the State Department, so Schorr assigned himself to cover the implementation of President Johnson's Great Society programs. "No one had such a beat," recalled his bureau colleague Roger Mudd. "He was everywhere. He had almost carte blanche to cover Washington." David Broder, a longtime political reporter and columnist for The Washington Post, added: "I think he's unique in the sense that he's been at the center of so many different stories, both here in Washington and overseas, for so long. He kept his perspective so well and does not ever exaggerate what's taking place, but really let you know why it's important." 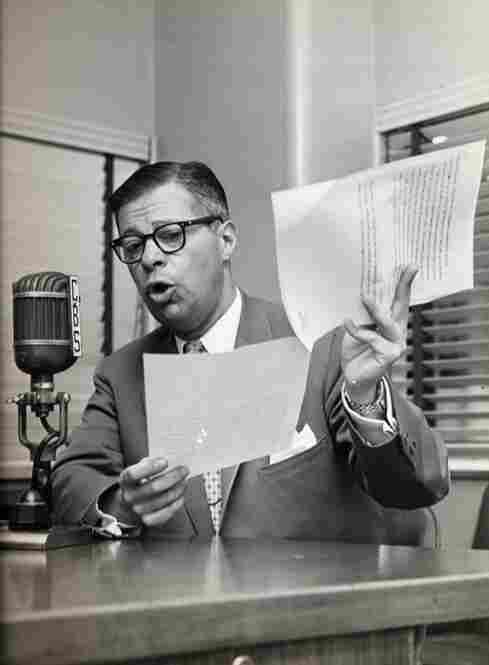 Schorr was surprised to find himself on the so-called Enemies List that had been drawn up by Richard Nixon's White House when he read it on the air. The list -- naming hundreds of political opponents, entertainers and publications considered hostile to the administration -- became the basis for one of the charges of impeachment against Nixon. "Killer Schorr: That's what they ought to call you," Helms said. In 1979, Schorr was hired to provide commentary for the fledgling CNN. 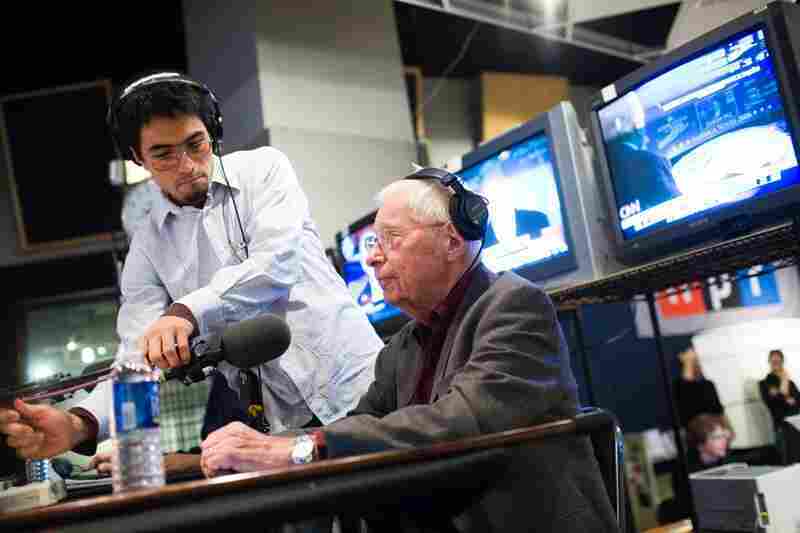 The network inaugurated its programming the following year with his interview with President Jimmy Carter. But in 1985, his contract was not renewed, which Schorr counted as his second "firing." 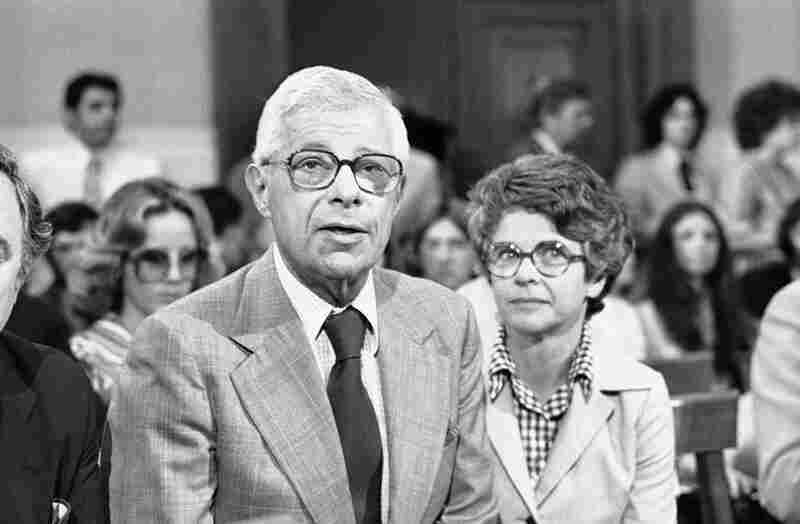 "Schorr was always a person to challenge what the government was saying and being skeptical and contrary," said Ritchie, the Senate historian. "It really is true that I would sometimes stand up for principle at the risk of my job," he told his son Jonathan for an interview on NPR's Weekend Edition last year. "It is also true that when I lose my job I get terribly nervous." Upon leaving CNN, Schorr joined NPR, where he had been doing occasional commentaries for several years. He had been a senior news analyst for NPR ever since. He also wrote a column for the Christian Science Monitor for decades. In 2000, this interview with Dan was produced as part of NPR's promotional materials. Schorr was born in the Bronx in 1916, the son of Belorussian immigrants. He got his first scoop at age 12, when he saw the body of a woman who had jumped or fallen from the roof of his apartment building. He called the police -- and the Bronx Home News, which paid him $5 for the information. 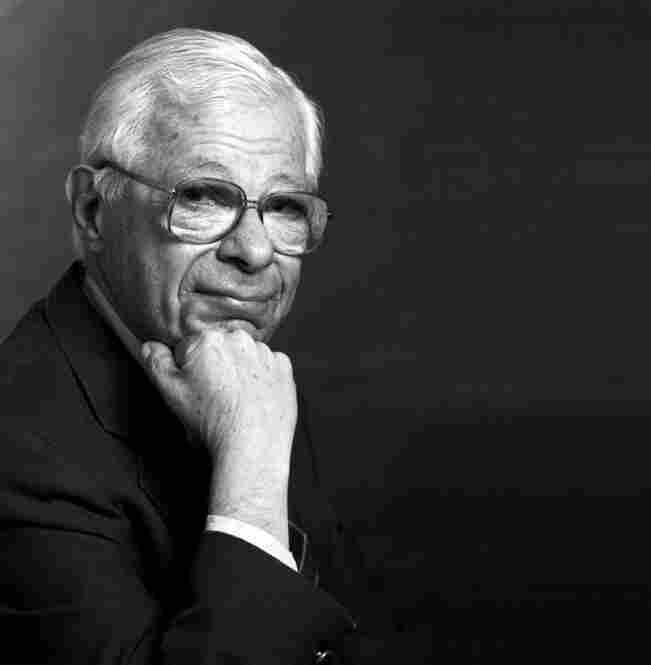 "It was the first time I'd ever seen a dead person in my life," he told NPR's Robert Siegel in a 2006 interview on All Things Considered marking Schorr's 90th birthday. "Why didn't I react more emotionally to that? It was the essential journalist who manages to absent himself from the situation and simply report it without feeling it," Schorr said. Schorr is survived by his wife, Lisbeth; a son, Jonathan Schorr; a daughter, Lisa Kaplan; a son-in-law, Alex Kaplan; and a granddaughter, Nora Rose. Daniel Schorr And Frank Zappa Were Friends. Really.